Art Deco fashion jewelry made in the 1930s in Germany was unlike anything produced by North American companies. The foundation of this maker’s designs is an oblong link that holds channel-set stones. With this bracelet, they took this concept to another level. These flat, rhodium-plated links with three diamanté form a honeycomb pattern. A large stone is in the center, with a smaller one on each side. This bracelet has five rows; it closes with a concealed clasp and safety catch. Scroll down to see another bracelet by this maker in the same pattern with three rows. Both sparkled on the runway at Toronto Fashion Week for Spring 2019! 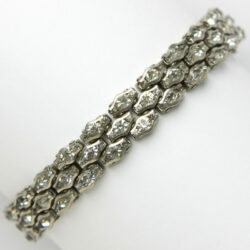 The model wore them with 1950s diamanté Eisenberg earrings, also shown below. 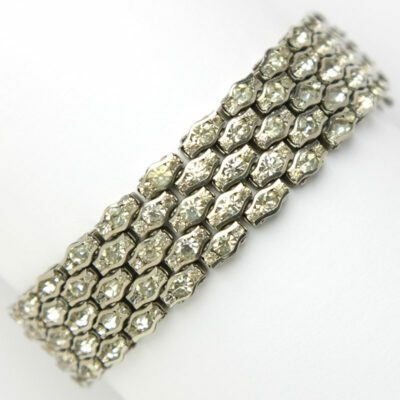 This German Art Deco honeycomb bracelet has tapered links that are staggered to form the pattern. 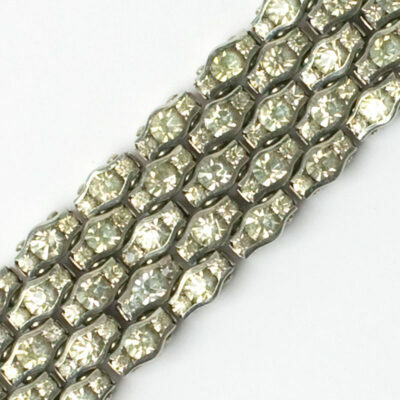 Each rhodium-plated link has channel-set stones: a large diamanté in the center flanked by a smaller one on both sides. 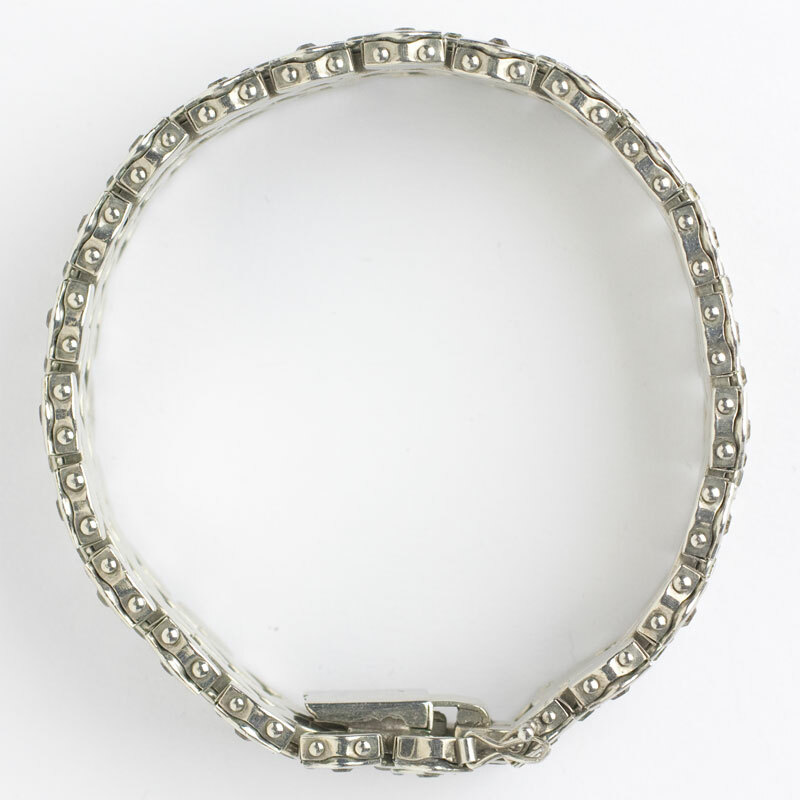 This bracelet closes with a concealed clasp and safety catch. Scroll down to see a five-row bracelet in the same pattern, by this maker. Both sparkled on the runway at Toronto Fashion Week for Spring 2019! The model wore them with diamanté 1950s Eisenberg earrings, also shown below.